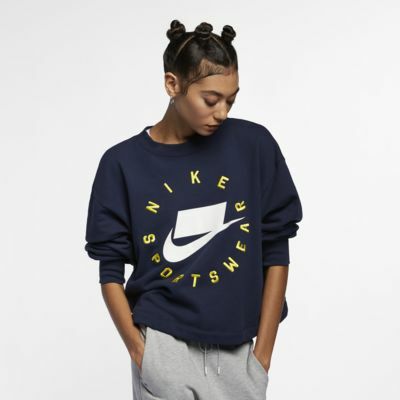 Made from soft French terry and featuring a block Nike logo, the Nike Sportswear NSW Crew has a loose fit and dropped shoulders for easy movement and laid back, casual comfort. This top (I chose pink) is a boxy design with a wide body. It fits perfectly on the arms and round the neck. 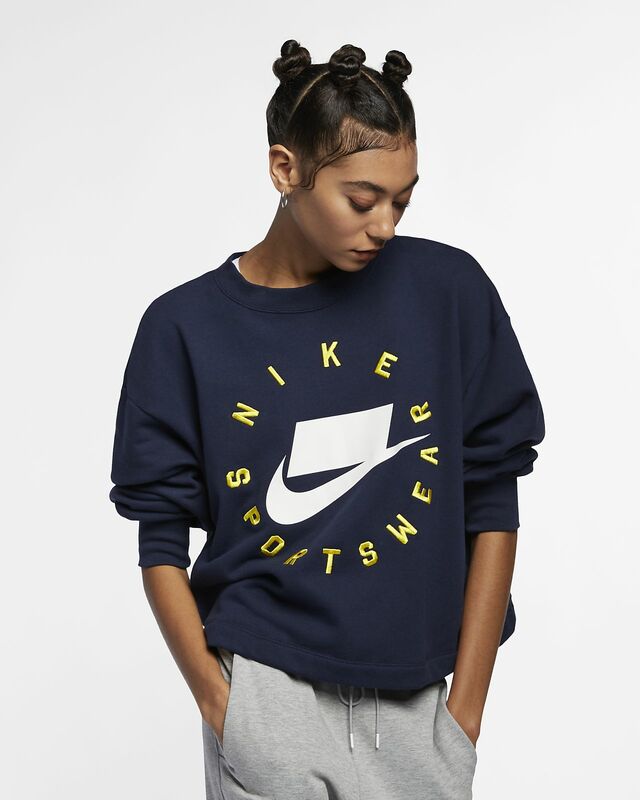 The NIKE logo & striking colour make it a must if you like the casual sporty look. Would recommend.